The Devon Closewool sheep is one of Great Britain's indigenous breeds. It was developed from the Devon Longwool and the Exmoor Horn. It is considered one of the 'Downs' breeds, along with such breeds as the Oxford Down, Southdown and Hampshire Down. The breed had its origins in Exmoor but has now spread to Devon, Cornwall, Somerset, parts of Wales and overseas. Although the breed had been around for many years, the Devon Closewool Sheep Breeders Society was not formed until 1923. The Devon Closewool Halfbred section was established in the early 1980s and in 1994, the oldest registered flock celebrated its centenary. Like most native breeds, it is ideally suited to its native habitat and adapts well to other regions. 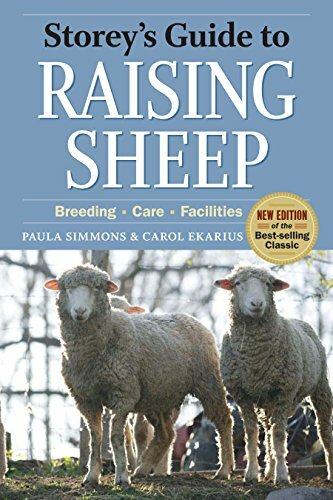 It is not mentioned on the Rare Breeds Survival Trust listings. It is a dual purpose breed, found primarily in grassland areas. North Devon and Exmoor is exposed to extreme weather conditions from the Atlantic and the inherent toughness of the breed means it thrives under local conditions. 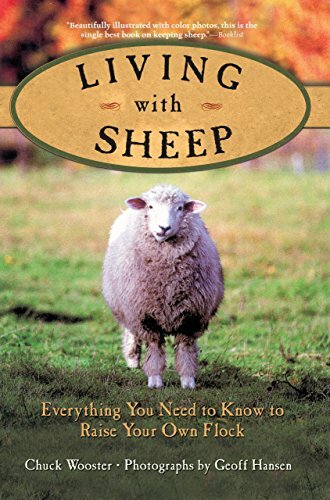 As well as being very hardy, it is also very docile and ideal for those beginning their sheep husbandry career. Commercial operations like the low maintenance factor of the breed. As well as low maintenance and docility, economic feeding is another trait of the breed which endears it to smallholders and larger graziers alike. The breed also does well on marginal land. The breed is of a medium size and is polled (hornless). It has a very symmetrical appearance. The legs are well boned and set well apart – one at each corner giving a balanced look to the animal. The ears and face are covered with short white hair. The ears are short and the nostrils black. The short, thick neck is set well into the shoulders. The ribs are well sprung and have good depth. The back is nice and wide. The 'closewool' part of the name refers to the quality of the fleece. The wool does not part easily so the skin stays dry and the animal does not suffer so much from cold and/or wet weather. The fleece is dense and weatherproof. It has a medium length staple and should contain no black fibres. A yearling ewe could be expected to yield a fleece of perhaps 4kg and a yearling ram 6kg. The fine wool has a count of 48 to 53 and is highly prized by hand spinners and modern manufacturers. The fibre is wonderful for worsted spinning having length, sheen and lustre. It is an ideal cross with other breeds. The lambs can be slaughtered at 12 weeks without the need for supplementary feeding. If they are kept longer, they do not lose condition. They yield a high-class carcass. The most common and popular cross is with the Blue Faced Leicester. The result of this cross is known as the Closewool mule. Half-bred sheep of this type have good hybrid vigour and adapt exceptionally well to a range of climates and conditions. The ewes have good fertility rates and plenty of milk for their lambs. The rams of the Devon Closewool breed are often used to impart more substance and durability into flocks. They are mostly used over other white-faced breeds.